As we all know, last Friday was Star Wars Christmas: Force Friday. The MSW team spent a good several hours waiting at Target for our first crack at Star Wars: The Force Awakens products. I personally picked up a BB-8 bobblehead and a pretty sweet TFA shirt. My primary target (no pun intended) was the 6″ Kylo Ren. Unfortunately, by the time I got to the pegs they were picked clean. I know that many others experienced something similar. However, I wasn’t worried then and I’m not worried now (EDIT: Most of Wave 1 6″ is now available on Hasbro Toy Shop. To buy or not to buy…). I know that between now and Christmas, we’ll be seeing so much Star Wars merchandise that our heads will spin like BB8. 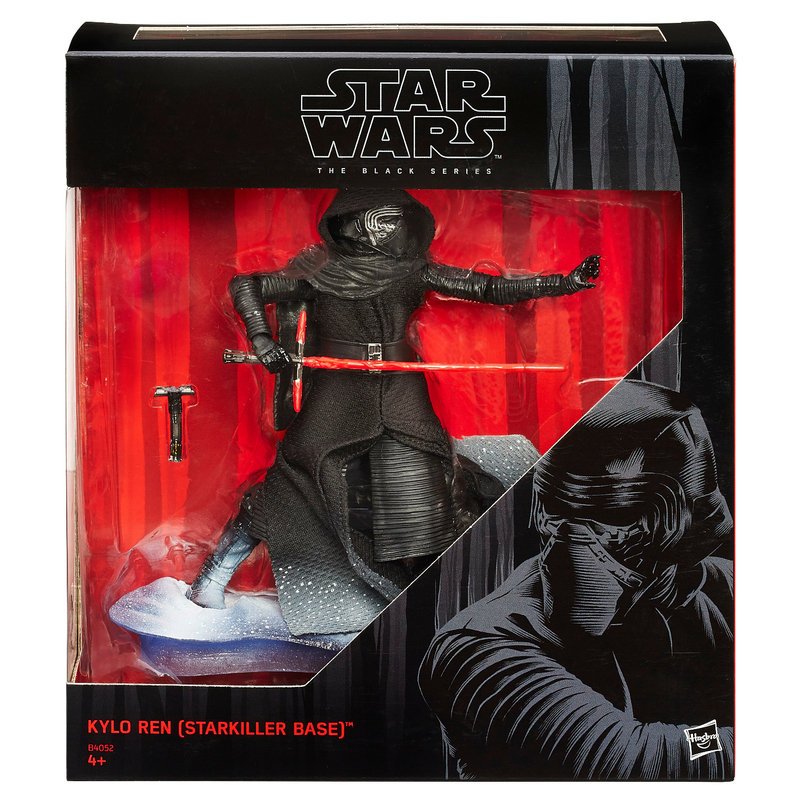 And in fact, I’m a little glad that I didn’t grab the Kylo Ren on Force Friday, because as you can see below, Kmart is going to have a ridiculously awesome exclusive 6″ Kylo Ren with Starkiller Base. 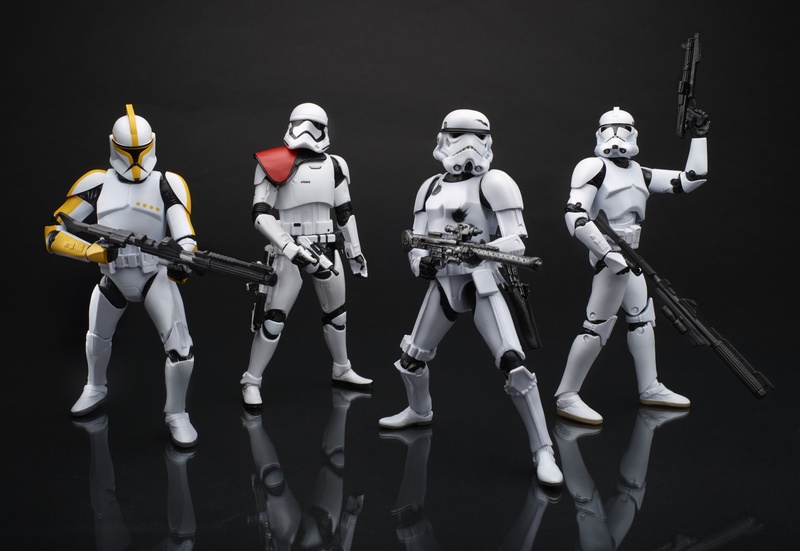 • AMAZON: Pre-order the STAR WARS: THE BLACK SERIES TROOPER EVOLUTION 4-PACK, featuring four 6-inch figures not available anywhere else, including the long-awaited PHASE II CLONE TROOPER and a FIRST ORDER STORMTROOPER with exclusive red pauldron! COMMENT – This set looks awesome. The display is fantastic. You can see in the packaged photo that the set closes shut with Velcro fasteners. 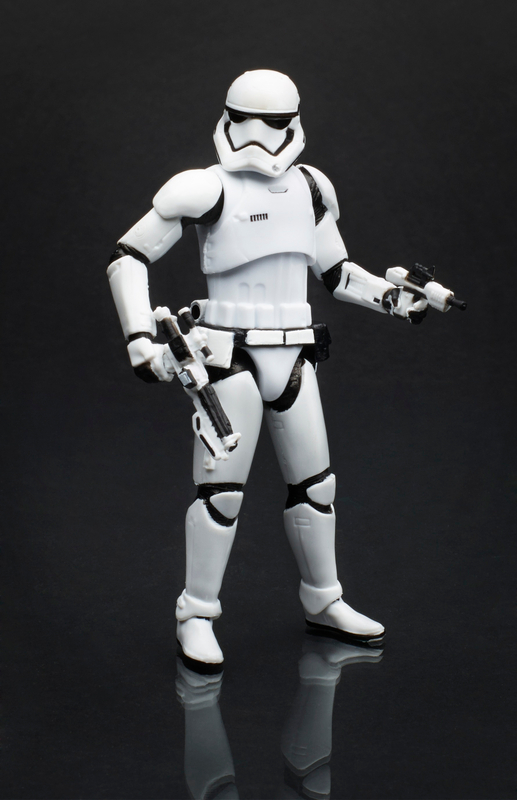 I really love the evolution angle of the set from Clone Trooper to First Order Stormtrooper. The real draw to me is the red pauldron TFA Stormtrooper. We all saw from the teaser the massive army of the First Order with those red pauldron troopers lined up. They look fantastic. • ENTERTAINMENT EARTH: Pre-order STAR WARS: THE BLACK SERIES 6-INCH FIGURE 4-PACK from entertainmentearth.com, featuring four exclusive 6-inch STAR WARS: THE BLACK SERIES figures, including a MAGMA STORMTROOPER and R2-Q5 DEATH STAR ASTROMECH DROID. 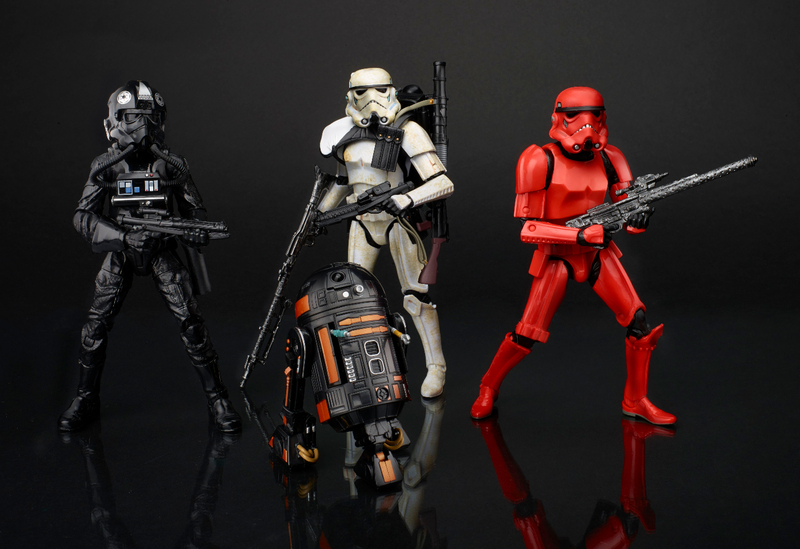 COMMENT – The standouts here are the Magma Stormtrooper and R2-Q5. This would be the first time they’ve done a variant droid in the 6″ line as far as I’m aware. Great looking set and it’s nice to see the e-tailer exclusive aspect too. 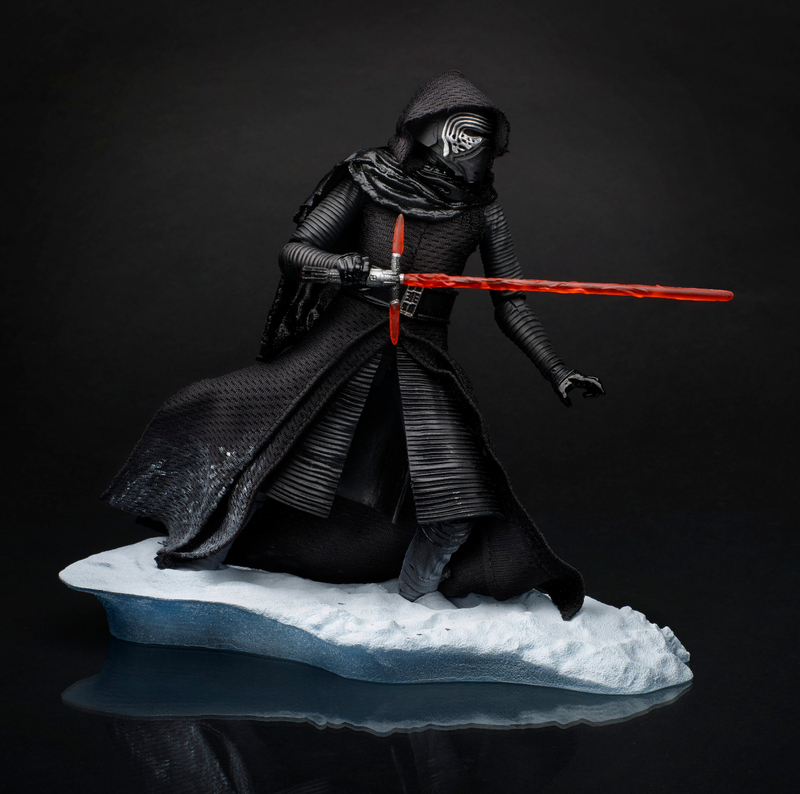 • KMART: STAR WARS: THE FORCE AWAKENS villain KYLO REN comes with an exclusive “snow” deco and a snow base in the STAR WARS: THE BLACK SERIES 6-inch exclusive, will be available for pre-order. The base will connect with a future exclusive in this series. COMMENT – This is the exclusive that caught my eye. 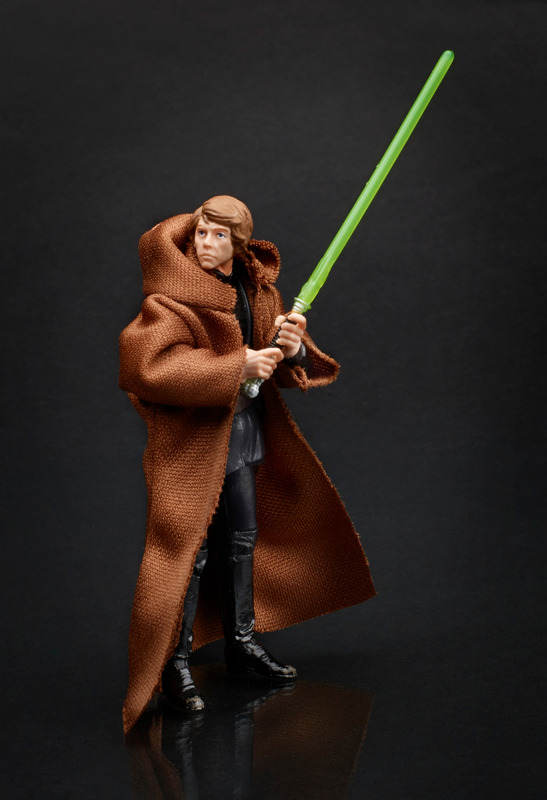 It has everything I could ask for: First Kylo’s broadsaber is different from the original 6″ release. 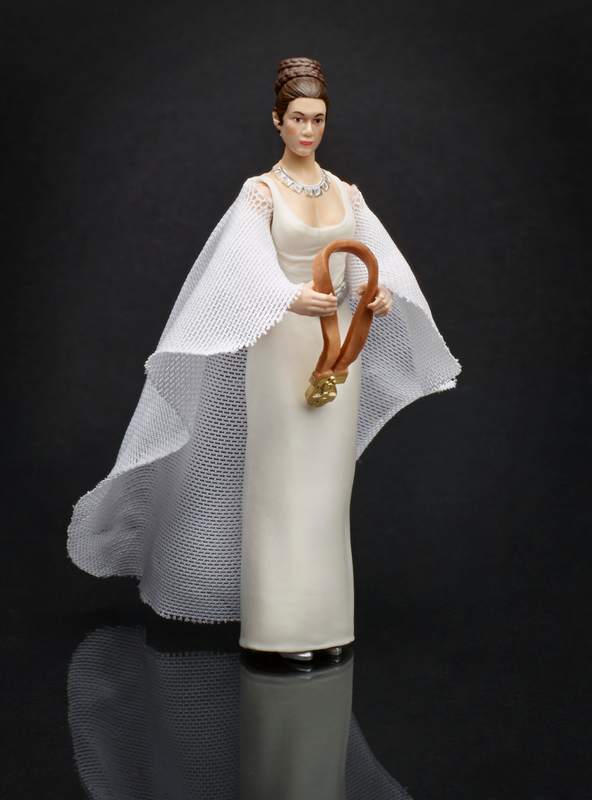 It’s far more screen accurate. Second, it features the culminating scene from the teaser. Third, it will connect with a future exclusive. We know this has to be Finn with a lightsaber right? RIGHT!? TAKE MY MONEY! 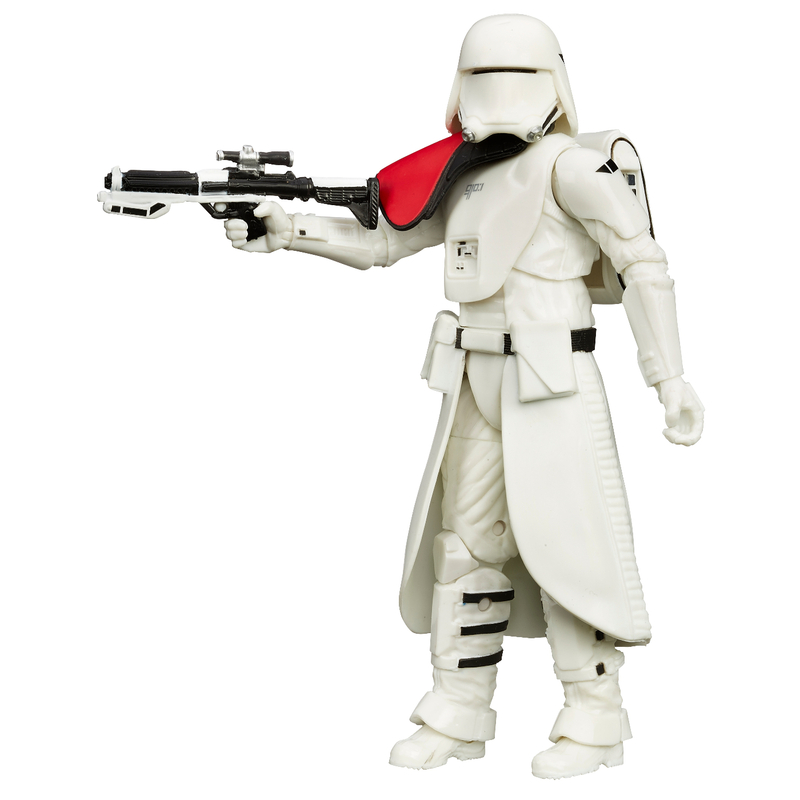 • TOYS “R” US: Toys “R” Us is your exclusive destination to pre-order the STAR WARS: THE BLACK SERIES 6-inch FIRST ORDER SNOWTROOPER OFFICER action figure – this character won’t be available anywhere else! Build up your troops with this officer, which comes with a blaster and an exclusive red pauldron. COMMENT – As of this writing the pre-orders are already sold out. No surprise really. They went quick. Based on my experience with the last Black Series exclusive, the Walgreens Proto-Fett from last year, I think we’ll see PLENTY Of these eventually. So don’t freak out. Again, red pauldron…looks really nice. My one thing about this figure is that for the hyper articulated 6″ line the fig looks kinda stuff. 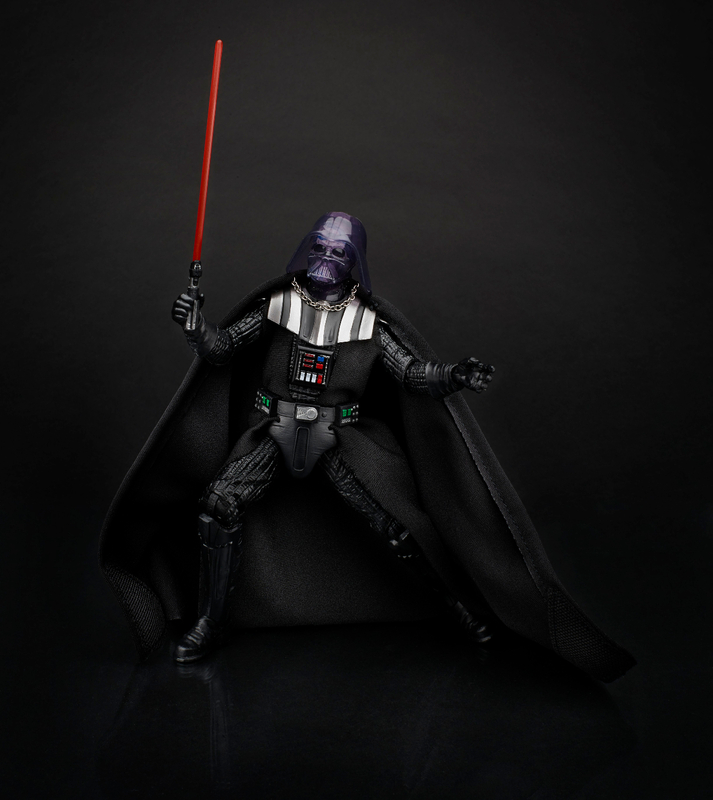 • WALGREENS: Fans can capture the climactic battle from STAR WARS: RETURN OF THE JEDI with this exclusive STAR WARS: THE BLACK SERIES 6-INCH DARTH VADER (EMPEROR’S WRATH) figure, featuring an exclusive translucent mask with a visible skull underneath it, as well as an exclusive removable hand. COMMENT – This was a much rumored and hyped exclusive as soon as a Walgreens buyer teased it earlier this year. Many thought the implication was an Emperor with lightning. 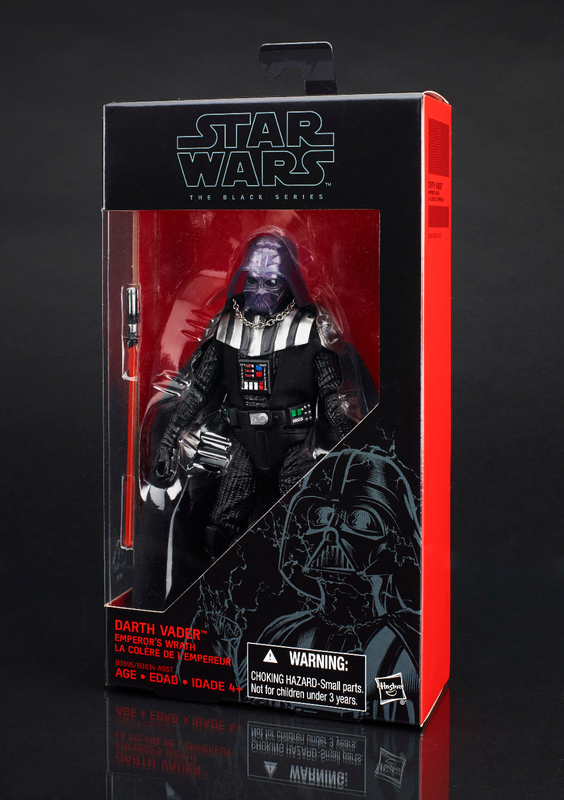 What’s interesting here is that the Vader is not just the original release with a new head. It’s been retooled a bit, most notably, the cape is no longer sewn into holes on the chest plate. Glad they fixed that design. What struck me was whether I can pop off the head of the original release and stick it on this retooled body. 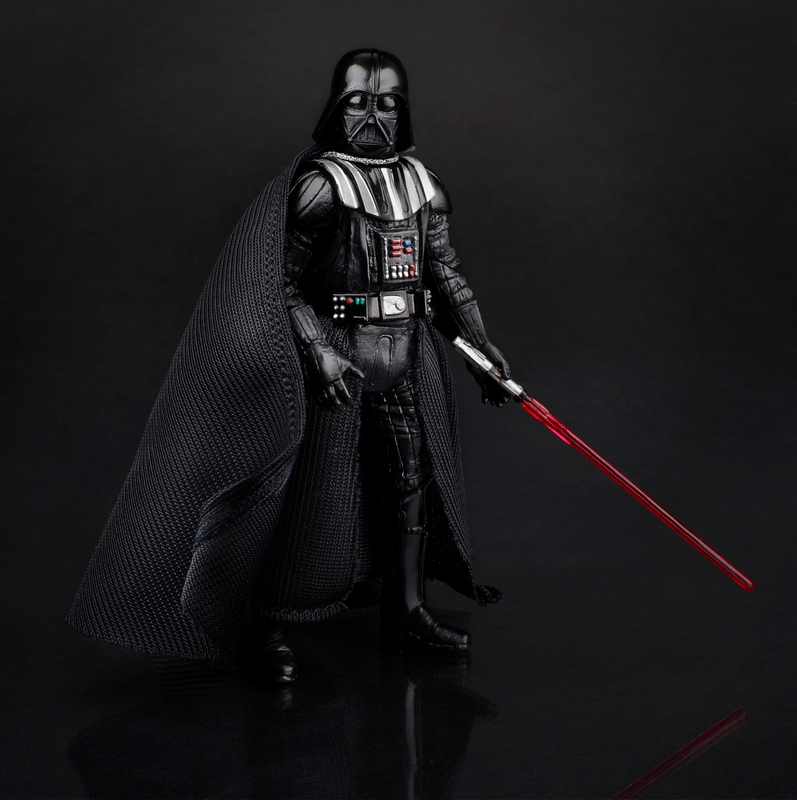 • WALMART: This fall, Walmart is the home for STAR WARS collectors and the exclusive home of the fan-favorite STAR WARS: THE BLACK SERIES 3.75-inch action figure line. 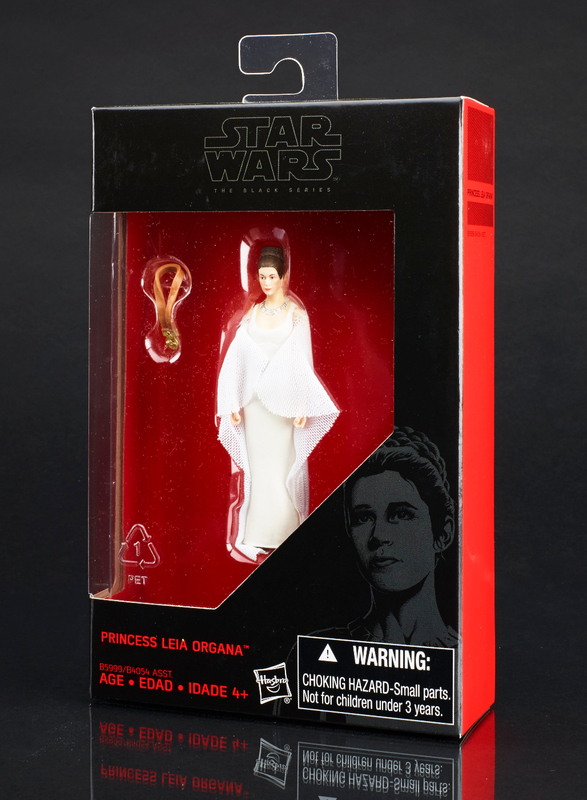 A limited number of the first wave of the new line will be available in Walmart stores, and the second wave, featuring brand-new figures from STAR WARS: THE FORCE AWAKENS and a brand-new PRINCESS LEIA figure, will be available for online pre-order! 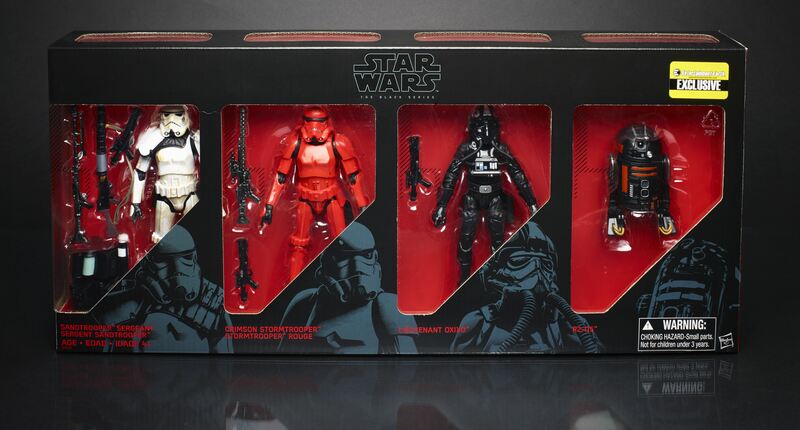 COMMENT – As you may have heard by now, Walmart will be the exclusive retailer for the 3.75″ Black Series line. This might come as a relief to many collectors since many feared an end to that scale. On the other hand, I’m sure collectors aren’t thrilled at the limited nature of the release. It’s interesting considering Walmart was the big box store that declined to carry the 6″ line when it was released. 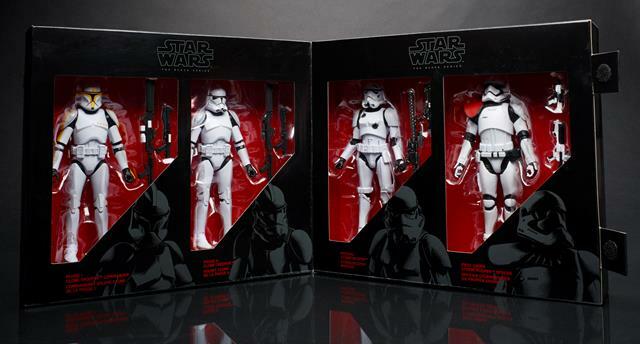 Now they’re the exclusive home of 3.75″ Black Series. It’s strange to me that a major store like this would take such a stand. Regardless, it’s nice that they haven’t given up on this scale. • COSTCO: The STAR WARS HERO MASHERS ULTIMATE BOUNTY MULTI-PACK features five 6-inch customizable action figures (including DARTH VADER, HAN SOLO and BOBA FETT), plus extra gear and accessories. 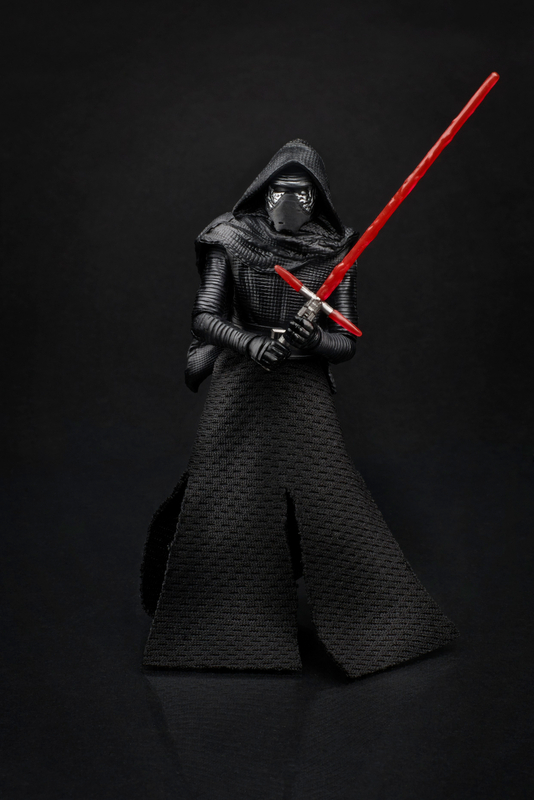 • KOHL’S: The STAR WARS: THE FORCE AWAKENS KYLO REN MASK WITH CONNECT AND CUSTOMIZE LIGHTSABER SET at Kohl’s comes with a KYLO REN MASK and KYLO REN EXTEND LIGHTSABER, featuring a BLADEBUILDERS connector and a LIGHT DAGGER. 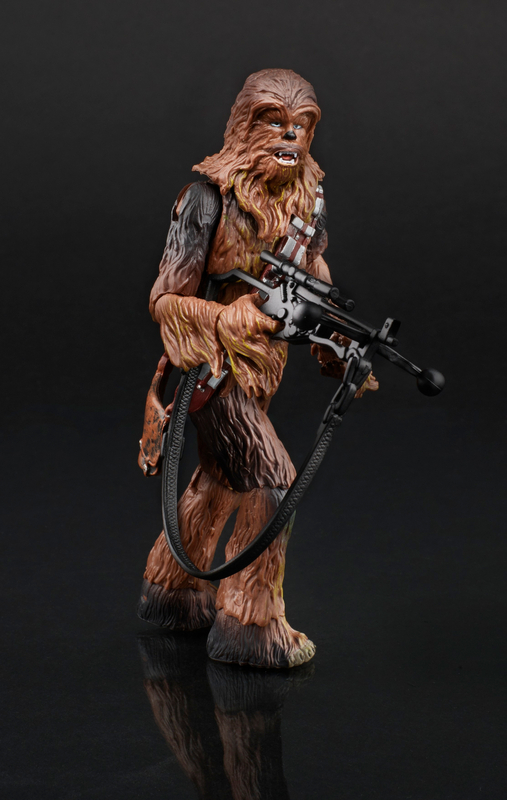 • SAM’S CLUB: The CHEWBACCA ROLE-PLAY MULTI-PACK contains both the NERF CHEWBACCA BOWCASTER, which features exclusive deco and exclusive FIRST ORDER targets, and the CHEWBACCA ELECTRONIC MASK. 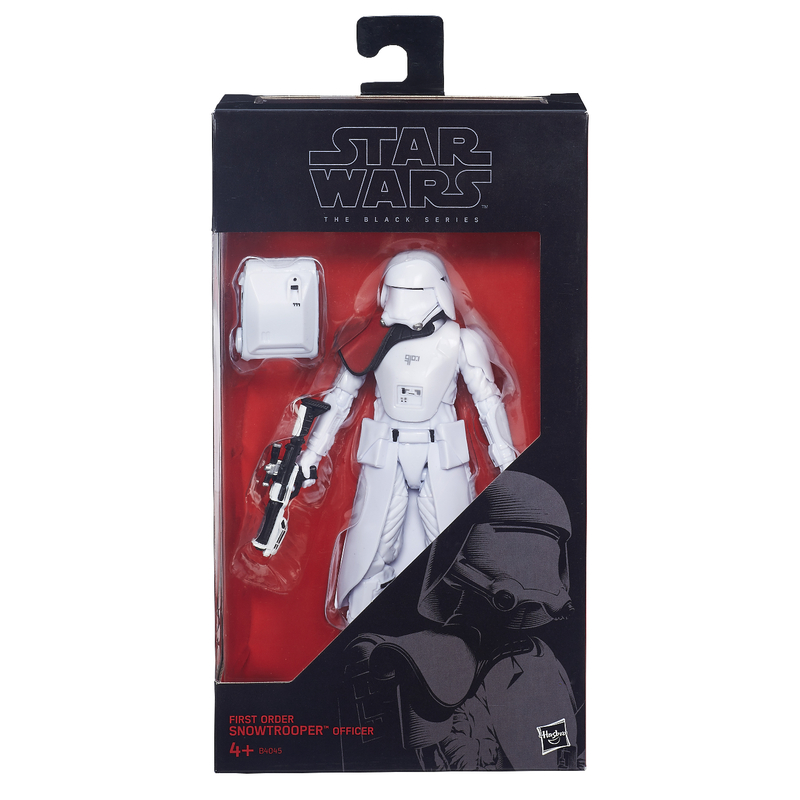 • TARGET: Everyone’s favorite new Droid from STAR WARS: THE FORCE AWAKENS is coming to Target! A limited number of REMOTE CONTROL BB-8 toys will be available exclusively in Target stores on Force Friday, with more stock to come throughout the fall season! I’m really excited to see what else Hasbro and other toy makers have in store for us as we head towards December 18th. Leave a comment and let me know which exclusives you’re going to pick up!